Shipping from our NZ, EU and US warehouses. Crowned by the resplendent Bag End, Bagshot Row is dotted with a handful of more modest dwellings, bearing wreaths of flowers and painted door faces. 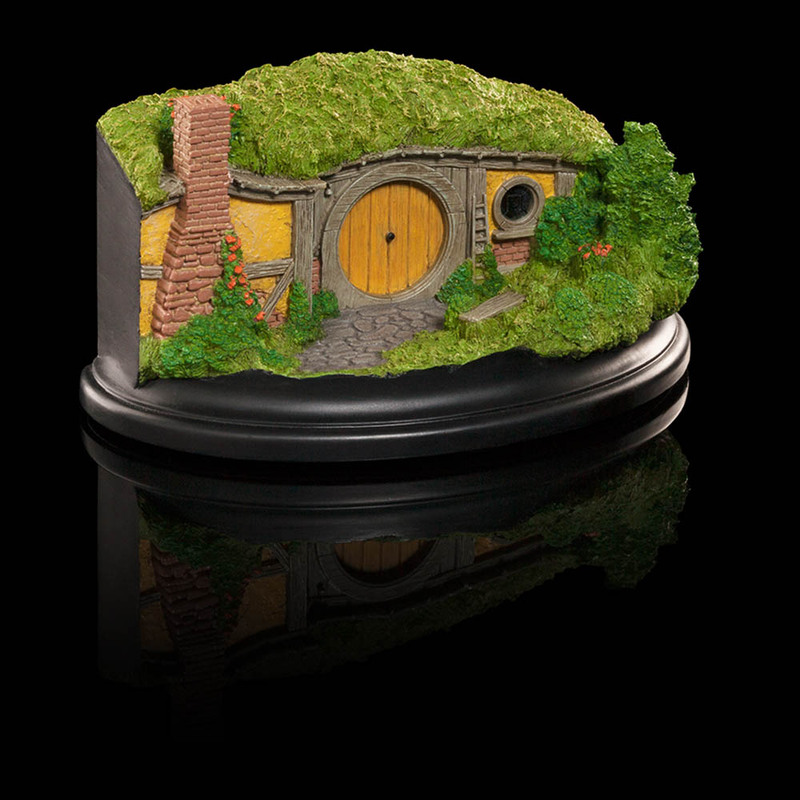 1 Bagshot Row, where notable occupants over the years have included one Samwise Gamgee and his Rosie Cotton, is the first home in a series of collectible Hobbit Hole environments from the artists at Weta. 1 Bagshot Row is an Open Edition piece.